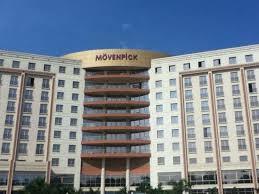 A Mauritius based investment fund has announced the acquisition of the Movenpick Ambassador Hotel, Accra, Ghana, from Kingdom Holding Company (KHC). Quantum Global Investments Africa Management Ltd revealed that the acquisition closed on 28 December 2016 and marks the most sizable open-market hotel transaction in Sub-Saharan Africa to date. Sitting on a spectacular 16 acres (6.5 hectares) site of landscaped gardens in Accra’s Central Business District, Movenpick Ambassador Hotel Accra comprises extensive food and beverage as well as conference facilities making it the largest 5-star conference hotel in Ghana. The property is also complemented by retail as well as office facilities that form part of a unique environment, valued by tenants as well as hotel guests. Complementing Quantum Global’s already significant African investment portfolio the value proposition of this transaction is underpinned by its status as one of the largest hotel and mixed use properties in West Africa occupying an exceptional position in both business and touristic segments of the African hospitality market.